Primary Inspired: Infer & Predict to Build Mathematical Comprehension! 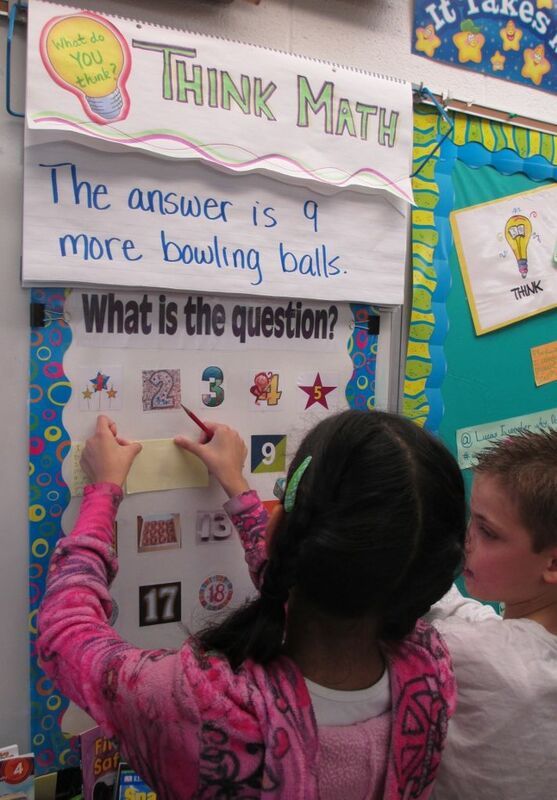 Infer & Predict to Build Mathematical Comprehension! Think about all those things that inferring helps kiddos do in math. Super important...right?! I agree with Laney when she says, "[b]uilding the capacity of students to infer and predict in mathematics is even more essential that in reading instruction considering the fact that mathematics is a science of patterns" (p. 173). So how can we help kiddos build these skills? Mathematicians figure out unknown words, concepts, and problems by using their schema, paying attention to details, re-reading, and talking with others. Mathematicians use info from their work & their prior knowledge to determine problem-solving methods and to better understand the math concepts their working on. They are intentional. Mathematicians make predictions then confirm or contradict them as they work. Mathematicians know to infer when the information they need is not expressly stated, when they're looking at data, or with unfamiliar math ideas. Mathematicians look for patterns in their work from which they can draw inferences. So- how can we help kiddos build these skills? Modeling & Think Alouds There it is again....teacher modeling and think alouds are so important. Are you as intentional about doing them in math as you are in reading? Did you know that many students (& adults) fear math? Many feel like math makes no sense & it's just a matter of memorizing rules, procedures, & facts? Have you noticed when meeting with kiddos AND PARENTS that many feel that math achievement is solely related to ability rather than effort? I cannot tell you how many times I've heard parents say, "Well...I was never good in math either" with the implication that of course, because of that, their child won't be either. Math ability is NOT hereditary, people!! Those think alouds we do give kiddos experience and practice in how to make those inferences and predictions that form the bedrock of their mathematical comprehension...that gives them all those benefits listed up there! 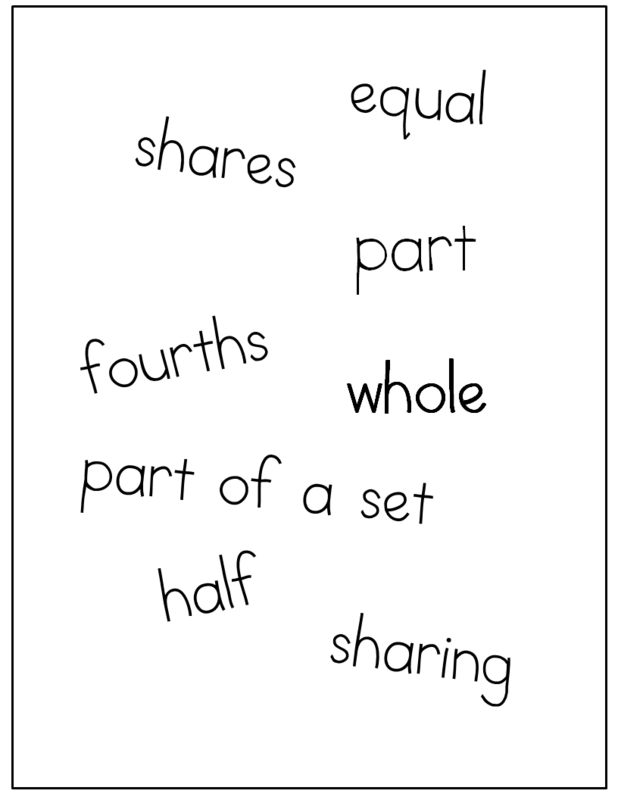 Word Splash I've done these for Science and Social Studies before...but never thought about them for math! 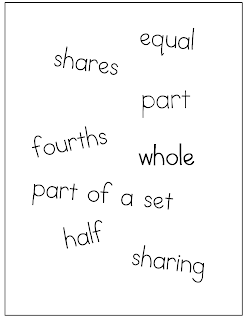 Basically, you choose key words or expressions for your concept, scatter them all over your chart paper, then have kiddos look for the common thread that connects them. Love how that makes them draw on their schema and look for those connections! What's the Question? Math Stretch Is this a coincidence, or what? I just ran across this awesome pin the other day...exactly what Laney is suggesting for helping kids build the ability to infer & predict. You give the answer....kiddos come up with the question. That makes kiddos pull on their own prior knowledge...to INFER what kinds of questions will go with the answer you've posted. This is definitely going in my room in a few weeks! Facts or Inferences Math Stretch Have students read a math story problem. Kiddos then decide if statements are either facts or inferences based on the story. 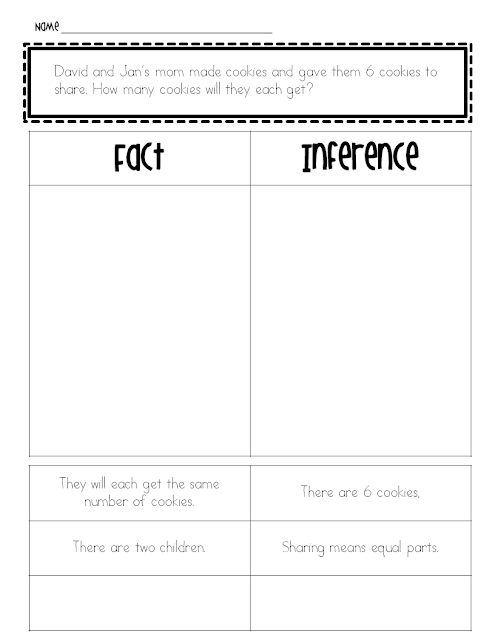 You could begin by making a chart on which you've listed the facts/inferences and then work together to label them. I made up this little organizer (which is EDITABLE!) that would be great for kiddos to use to practice this skill. Just click the image to download your copy! A new collaborative blog is launching! 11 fantastic bloggers will be working together to bring on some amazing teaching ideas, inspiration, and of course...FREEBIES! In fact, there are a couple of freebies over there already! Stop by & check them out! Great post! It's amazing how many times Sammons has already stressed the idea of teacher modeling and think alouds....makes me think if I really do them often enough! I love that pin! I think I'll be making one of those too!